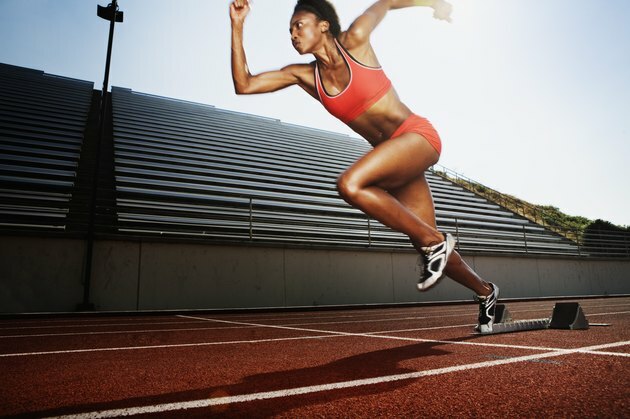 Creatine supplements are popular among athletes to provide additional energy for high-intensity, short-term activities such as sprinting and weight lifting. (See Ref.3, p.284; Ref. 2, p.1-2 ) Although there have been some anecdotal reports -- and stories in the popular press -- about the detrimental effects of creatine supplements, many controlled scientific studies have shown they are safe when taken in recommended dosages. However, there is a potential for harmful side effects if you take them with certain medicines. Athletes must always be concerned of the risk of dehydration, especially during hot weather. To avoid the risk of dehydration, athletes must drink extra water, especially during periods of hot weather. Dehydration can lead to muscle cramps, fever, seizures, and electrolyte imbalances. Anecdotal comments and media reports suggested that creatine use may increase the risk of dehydration. It was hypothesized that the increased uptake of creatine within muscle cells is followed by an increased transfer of water from the blood to muscle cells via osmotic pressure. However, Lopez and colleagues conducted an extensive literature review of 95 studies (See Ref. 7, p. 215) and concluded that creatine supplementation at recommended dosages neither hinders the body’s ability to dissipate heat nor negatively affects the body’s fluid balance. Watson and colleagues (See Ref.8 p.18)studied the effect of creatine supplementation on heat tolerance and hydration status in dehydrated athletes following exercise tests. They concluded that creatine use did not increase signs or symptoms of heat stress or dehydration. Taking high doses of creatine in combination with drugs toxic to kidney cells (nephrotoxic) increases the risk of kidney damage (See Ref. 5 & 6). Examples of potentially harmful drugs include non-steroidal anti-inflammatory drugs (NSAIDs) ibuprofen (Motrin, Advil) and naproxen (Aleve). Other nephrotoxic drugs include Cimetidine (Tagamet) and Probenicid. Diuretics should not be used due to the risk of dehydration. This is not a complete list. If an athlete is taking medications, he or she must consult with a physician prior to using creatine supplements.